Intact Group Managing Director, Nathan Dale, has been awarded the 2012 Australian Young Entrepreneur of the Year at the Australian Small Business Champion Awards. The recognition is a testament to the support of all stakeholders associated with Intact Group, especially our invaluable employees! 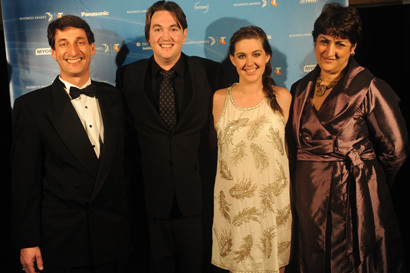 Intact Group was awarded winner of the Telstra NSW Business of the Year Award and the MYOB Small Business Award at the 2010 Telstra Business Awards. The celebration came as a great recognition of Intact’s efforts to achieve an honourable place within the industry. “Intact Group should feel a great sense of pride because the calibre of the 20 finalists in this year’s Awards was very impressive, reflecting the strength of Australia's small and medium business sector. Judges said Intact Group provides proactive and timely maintenance in commercial buildings at unprecedented levels of service. Intact Group has demonstrated the sound business practices, strong leadership and client focus that made the business the success it is today. 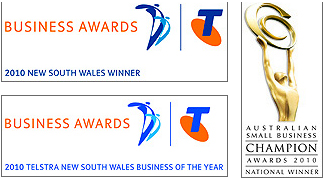 If you wish to read more about the Telstra Business Awards, click here. 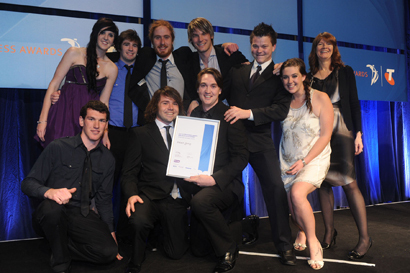 Intact Group also received national recognition at the Australian Small Business Champion Awards, winning both the National Trade Services Business of the Year for 2010 and the National Young Business Growth Champion of the Year. Managing Director Nathan Dale was also recognised as a National Finalist for the Australian Young Entrepreneur of the Year.